Comme des Garçons is a leading fashion house known for their distinctly anti-fashion pieces. The brainchild of designer Rei Kawakubo, Comme des Garçons designs unconventional and provocative apparel that is often distressed and deconstructed. Much like its fashion, the Comme des Garçons perfume collection is avant-garde and unexpected. A collection of fragrances known for their innovation, quality and divergence from the norm. Founded in 1969 in Tokyo, Comme des Garçons represents a unique fusion of Japanese and French design. Founder Rei Kawakubo works predominantly with distressed fabrics to create a destroyed look that veered away from the laidback look of the 70s, and the inflated shapes of the 80s. After a successful debut in Paris in 1981, Comme des Garçons began to accrue worldwide recognition, becoming known for their unique advertising, and their links to the world of art and dance. Designed in Tokyo and with flagship stores in Paris, London, New York and Beijing, Rei Kawakubo is as deeply invested into the Comme des Garçons vision today as she was over 40 years ago. Comme des Garçons fragrance is a core part of the fashion brand, drawing inspiration from the unconventional spirit and striking nature of its catwalk designs. 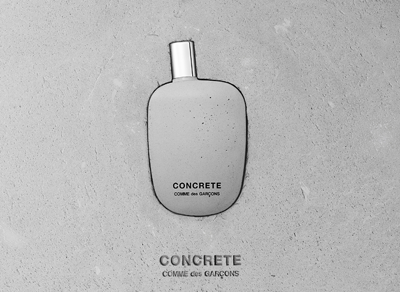 The first scent, the eponymous Comme des Garçons, was launched in 1994. Since then, the brand has launched 2 Man, Comme des Garçons 2, Wonderwood and the iconic 8, each a landmark in modern perfumery and an expression of the synergy between Tokyo and Paris.